With the temps dropping well into the teens, it’s hard to believe that we are still in the fall season of our gardens. Although winter doesn’t officially start until December 21st, most of us have succumbed to our wooly pajamas and flannel sheets. We may not even ponder our outside world as we wrap ourselves in our own protective winter guard. But I still see so much beauty in the garden. One of the few things that remains uncut in our perennial borders - the ornamental grasses. This should be a staple in the New England winter landscape. With so many choices, one can find an ornamental that suits their fancy. 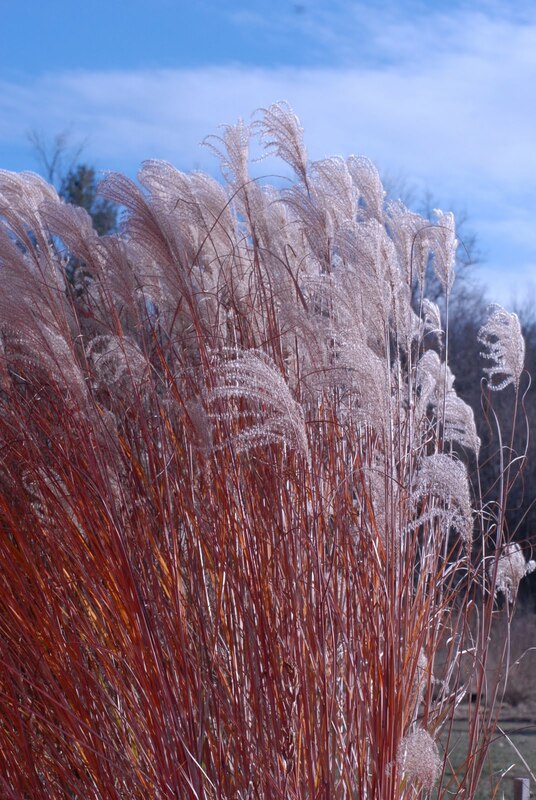 The wispy, curling tips of this Miscanthus sinensis Maiden Grass in my own garden displays a meadow-like beauty only found on the open prairie. There is always something captivating in our maturing gardens, gracefully appearing in the midst of the morning sun. 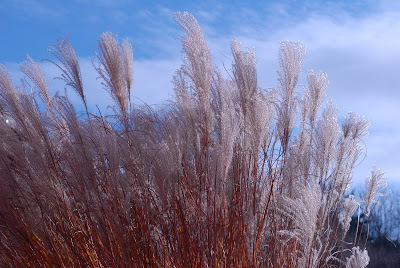 If we look at our landscape much like the way Brigitte Bardot saw aging beauty, our gardens can enchant us, even on the coldest of fall mornings. "What could be more beautiful than a dear old lady growing wise with age? Every age can be enchanting, provided you live within it." Enjoy the remnants of your aging gardens and live within its seasons. Annie – Now it’s time to get this aging gal some more Theraflu!